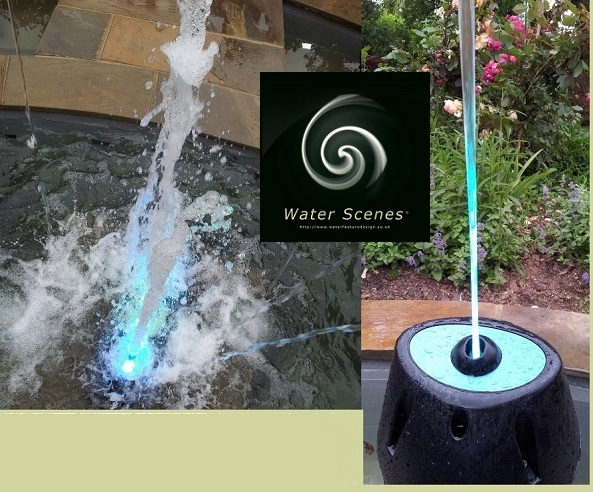 Laminar jet fountain nozzles and Led fountain attachments can be individually selected to suit most outside landscapes. 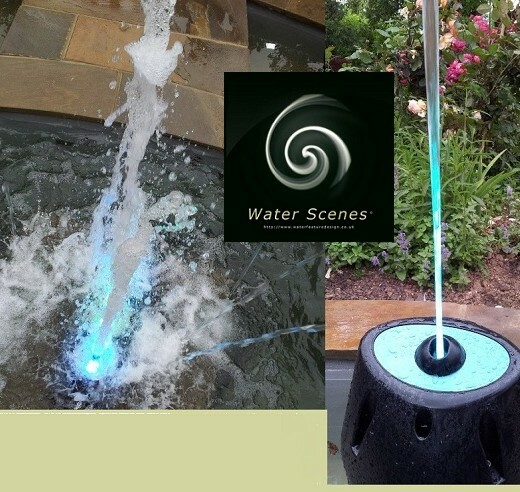 Fountains with LED lighting will add a spectacular dimension to any fountain water feature design. Water Scenes specialise in the design and installation of fountain pools and fountain equipment. Find out more about our water feature installation. Visit fountain design and equipment page to find out more about our fountain feature services and to see the page which this picture is featured.